To us, rendering beauty services goes beyond having a job – it is a passion and our pleasure to make you look beautiful. For every appointment, we interact with you to understand your needs and desire; then we recommend a solution that will be ideal for enhancing your beauty and confidence. We only use the best quality products, and we ensure your session is comfortable, warm in winter and relaxing. We let you walk out the door when you are ecstatically pleased with the result. At yokototalbeauty, our approach to service delivery is excellent, and we strive to make our services competitive with no compromise on results and customer satisfaction. 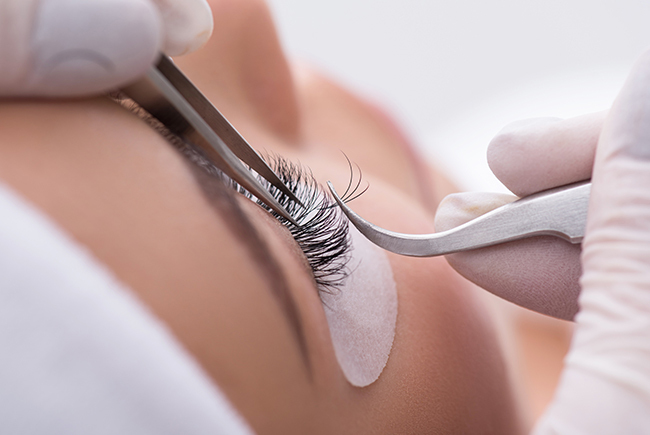 If you desire perfect, natural looking lashes, our studio is the right place to enquire and make a booking. 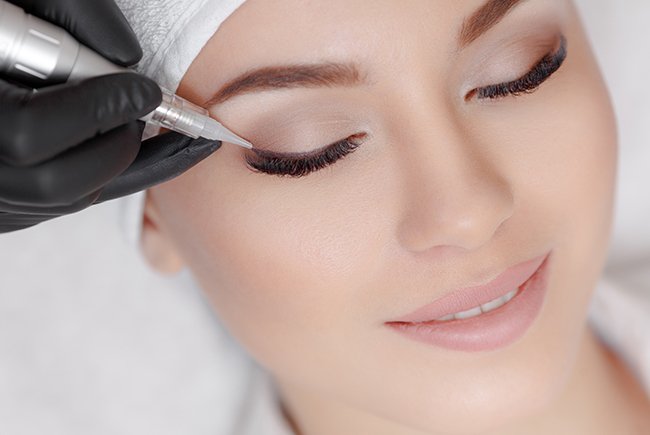 Microblading will help enhance your natural beauty using a new technique of semipermanent makeup. With the latest cosmetic techniques, you can have a fuller eyebrow and save money and time. We implant pigment to a depth between 0.6mm & 1.2mm. We use hand methods to deliver our microblading services to give you the ideal shape that will fit your unique facial features. 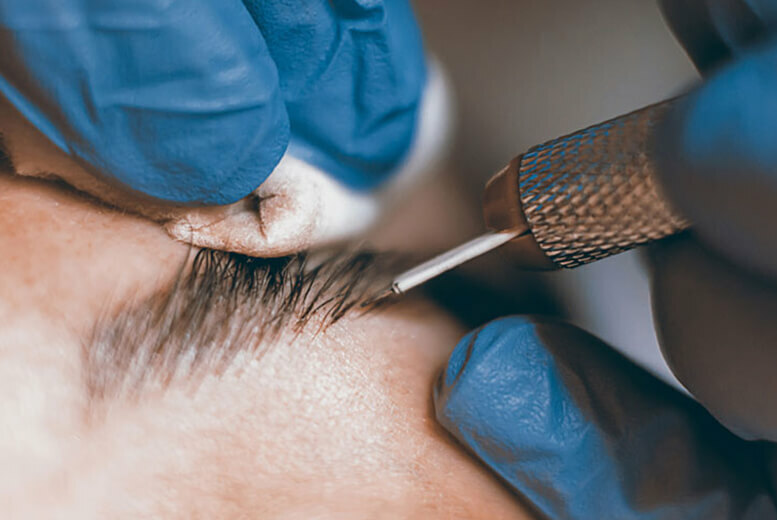 Our specialised hand tools and method is a realistic approach to beautiful brows, and we guarantee that with our services, your eyebrows will blend perfectly and you wouldn’t like to use eyebrow pencils in the foreseeable future. 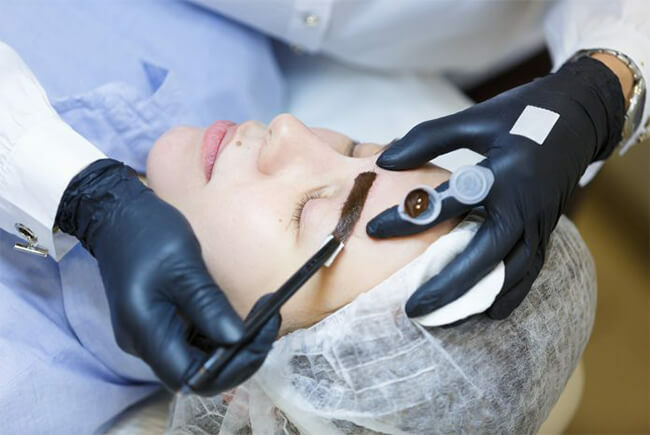 Shading is the latest innovation in eyebrow microblading, and we have been highly equipped to meticulously deliver the service. This is a perfect way to give your eyebrows a semi-permanent makeup effect, and we will use a dual needle tool with shading powder ink to infill your eyebrow to make it more natural and subtle. A combo of microblading and shading with powder infills could be what will set your beauty apart. When you want incredibly beautiful, classy Hollywood style eyebrows that look very natural, we know how to achieve a makeup finished look with better definition and longevity. We offer a combination of eyebrow microblading with beautiful custom brow design. We will reshape the brows to best fit your facial structure so that your makeup will look so luxe. This is the perfect semi-permanent solution that will make you attractive and romantic. Create an eyeliner to your heart’s desire or leave it to us to create an eyeliner that best matches your desired look, eye shape and facial symmetry. 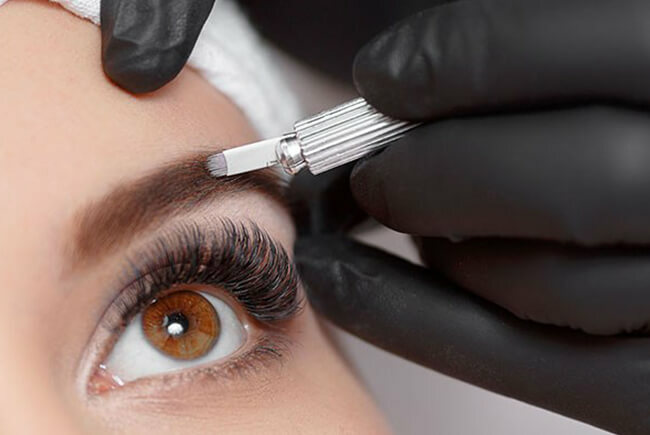 Whether you use eyelash extensions or not, permanent eyeliner will create a fuller look and enhance your lashes effect making it a perfect combination with eyelash extensions. A great eyeliner comes from 4 things; skill, experience, excellent pigment and the right machine. For sultry, mesmerising, alluring, glamorous eyes or if you just want a permanent subtle look and use the permanent line as a base for your penned art. We specialise in the best available types of cosmetic tattooing. Lips fade, become dull and lose edge definition as we get older. Our service is non invasive, and the least painful! Don’t suffer from downtime with scary crusty, blown out lips forcing you to stay indoors for 5 days. Injected anaesthetics aren’t required. We impregnate pigment to just 0.10mm deep with a fine needle, preventing bleeding. While this service is not available to everyone, we can provide a Lip Liner for certain women. 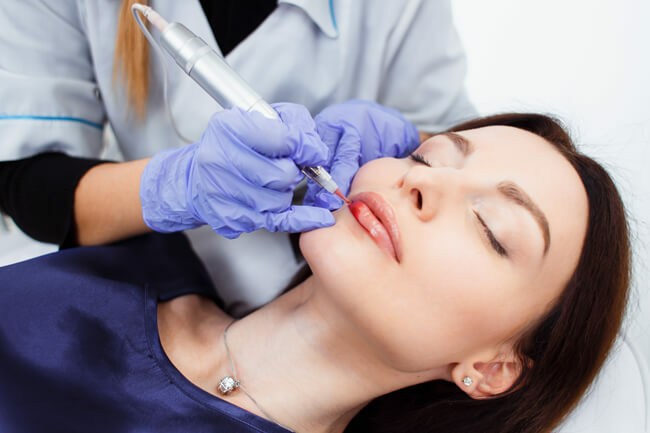 A consultation with us will help you achieve the best result for your skin/pigment type. Microblading is our specialty. We will execute a hairline for you with clinical precision that will amaze you. We can fill in your temples, fill your part lines or create a full hairline. For men, we can improve balding or thinning hair areas making them look fuller. We will ensure your hairline treatment is in proportion to your forehead, doesn’t look obvious and will enhance your features, matching perfectly to your current hair colour. Our hairline service uses the same procedure as the Microblade section described above. Contact us for a consultation. We are happy to discuss your options and our procedure for men and women.